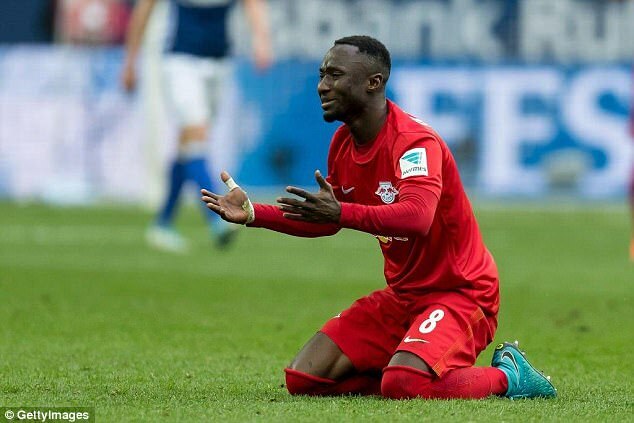 Premier League side Liverpool have abandoned the deal for top summer interested Naby Keita as the conundrum seems like one that would not go away. After the relief of making the Champions League at the end of the last season, this summer was supposed to be one where top players would join and strengthen the club. However, Jurgen Klopp and the Reds team have not been as impressive. After two failed bids, Klopp has reportedly opted to abandon the Keita deal. The second offer of £66 million did not pull through so the German tactician has decided against the deal for the Guinea international. The chase has taken its toll on the management, slowing down the impending spark ahead of the new season as the much needed depth is not achieved yet. The summer started well for the Merseyside when Mohammed Salah joined for a record fee despite the little snag in the deal for the Egyptian. Dominic Solanke is a player for the future yet it was a good acquisition. Andy Robertson was a deal that would be done sooner or later following Hull City’s relegation. Had the Reds been able to land their RB Leipzig and Southampton interests, it would have been a near perfect transfer period. While Keita, 22, is rated as one of the most promising players on the continent, Anfield have no choice than to look away for now. From next year, his valuation is expected to really cut and Liverpool could be better placed to make the deal. For now Leipzig are hoping to overthrow Bayern Munich in the German Bundesliga so releasing the player is difficult. A short term deal like Renato Sanchez from the German side on a loan deal is not a bad idea but Keita is a pipe dream for this summer.